Need some travel tips for the UK? When travelling in the UK there are some attractions that everybody wants to see and so you do the postcard tour, which of-course can be great fun. However, it doesn’t take a great deal of effort in London to step off the beaten track for a peak at some of the lesser known but none the less fabulous places. Here are a few of our personal favourites, travel tips for the UK. Set aside from the hubbub of the West End of London Bloomsbury is a fascinating and historic part of London. Home to the British Museum and some of the best book shops for culture and artefacts around. 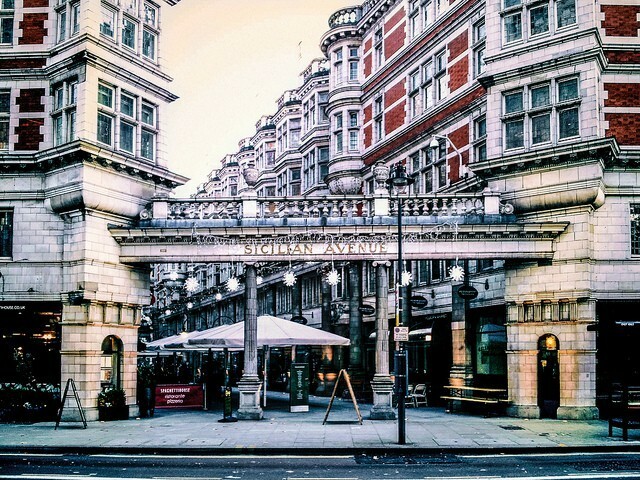 Don’t forget to check out Sicilian Avenue for eclectic shopping walking distance to Covent Garden, it’s a visual treat in a busy working part of the capital. Live comedy is a great way to get in the groove of the city, and you have a vast selection of over 70 comedy clubs to choose from. And to boot this is still a really affordable night out in the capital and you are bound to find someone who’ll tickle your fancy. For great and innovative comedy go off the beaten track and try the 99Club or the Meccano Comedy Club at the Slug and Lettuce pub in Islington. 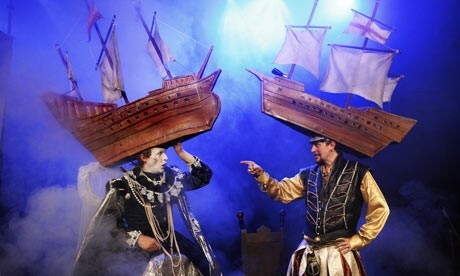 How do you choose in London with so much available in terms traditional, avant garde and musical theatre. With 50 theatres in the West End alone, and even more beyond, it seems London could satisfy the greatest dramatic appetite. It is always worth checking out the up and coming alternative fringe theatres. For new plays and drama check out the Arcola Theatre it is a renowned community theatre at the heart of the fringe arts scene, located in a converted factory in Hackney. The Riverside Studios in Hammersmith is more established and yet still innovative. When in London you have a range of cinema options, from the big traditional theatres in Leicester Square, where film openings take place, to arts cinemas like the Renoir chain. And then there is Cultural Expose an alternative film club in London. 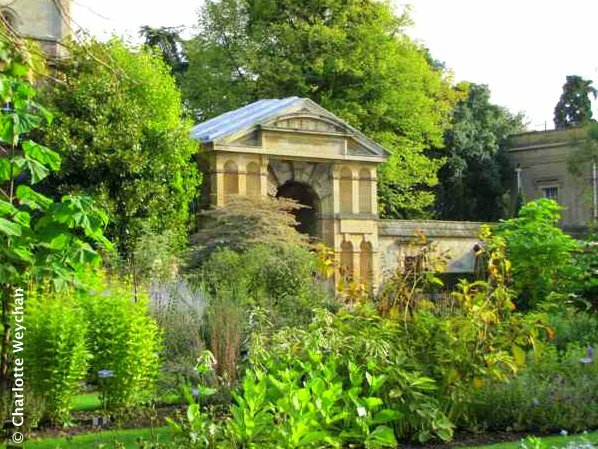 With so much to see that is well documented and enclosed within the beautiful buildings of the city and the university, don’t forget to visit the Botanical Gardens (especially in late Spring). The gardens offer a spectacular display in every season. 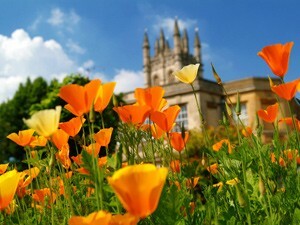 My personal favourite is seeing the tulips against the backdrop of the ivory towers of Oxford. Tulips at the Botanical Gardens, Oxford. Fabulous city on a human scale with an ancient history, a rich cosmopolitan culture and a unique arts festival – the Edinburgh Festival, at the end of the summer (August). Check out the Festival programme and plan your visit. Look out for the Fringe festival where you come across many up and coming entertainers from all over the world – you’ll be spoilt for choice. 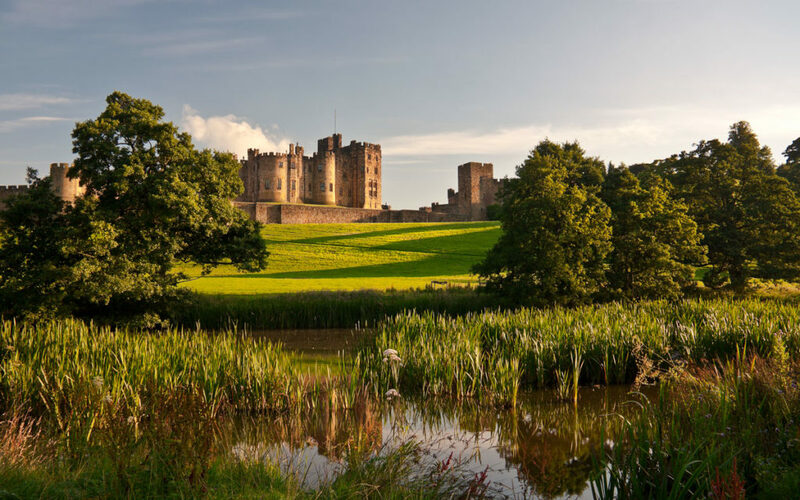 Majestic ancient structure perfectly situated in rolling countryside, owned by the Percy family since 1309; also the backdrop for many films including: Mary Queen of Scots (1971); Harry Potter and the Philosophers Stone (2001). Have lunch in either the glass restaurant overlooking the spectacular water gardens, or tucked up in the top of Europe’s biggest tree house! I will be in the UK from 8 March to 8 April and am looking for sitting opportunities. I will be attending a course near Cirencester 12-16 March.